Starting Thursday, paper tickets will no longer be sold at Expo Line stations. Instead, passengers will only be able to purchase reusable Transit Access Pass cards in order to ride the line. Ticket vending machines will no longer sell paper tickets and passengers will instead purchase TAP cards for a one-time $1 fee. These plastic payment cards allow Metro users to buy and electronically load Metro passes, participating transit line passes and cash directly to their card. Exclusive use of TAP cards is part of Metro’s transition to include locked turnstiles in all subway and rail stations. Come November, Metro Rail will also begin the process of locking turnstiles, including those at the Expo Line stations near USC. Tapping a TAP card on a turnstile will simultaneously unlock the gate and charge the train’s fare. The process started last winter, Metro spokesperson Anna Chen said. After conducting a 10-week gate locking test along the Red Line, Metro slowly began converting all ticket vending machines to TAP card machines, a process that will be completed by early next month. Pending approval from its board of directors, Metro will begin to incorporate the locked turnstiles starting in November. “If all goes as scheduled, this should be completed by May of next year,” Chen said. Many stations currently use unlocked turnstiles that allow passengers to enter without tapping their TAP card. Though the fine for fare evasion is up to $250, Chen said this has not stopped some users from taking advantage of the unguarded system. Chen believes Los Angeles is finally catching up to other big cities by locking turnstiles. The first station set to feature locked turnstiles is the Wilshire/Normandie Station on the Purple Line. Depending on the response, Metro hopes to continue locking the remaining stations until they are all secure. The stations will continue to be unguarded, but Metro staff will be available to assist new TAP users. The Expo Line stations near USC are not currently equipped with turnstiles but now feature the new TAP system. Anisha Veer, a junior majoring in business administration, thinks the TAP card makes using Metro more convenient. Other students, like freshman communication major Matt Cheung, see even more potential in the card. Regardless of the potential drawbacks some see in the new system, others said the Metro is a useful took for students. 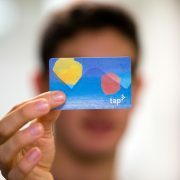 Looking forward, an investment in a TAP card could be a smart choice for USC students, especially those without cars. For students, Metro offers a college/vocational TAP card. The card, priced at $36, allows unlimited rides for 30 days, including on the Expo Line, which goes between Downtown Los Angeles and Culver City. 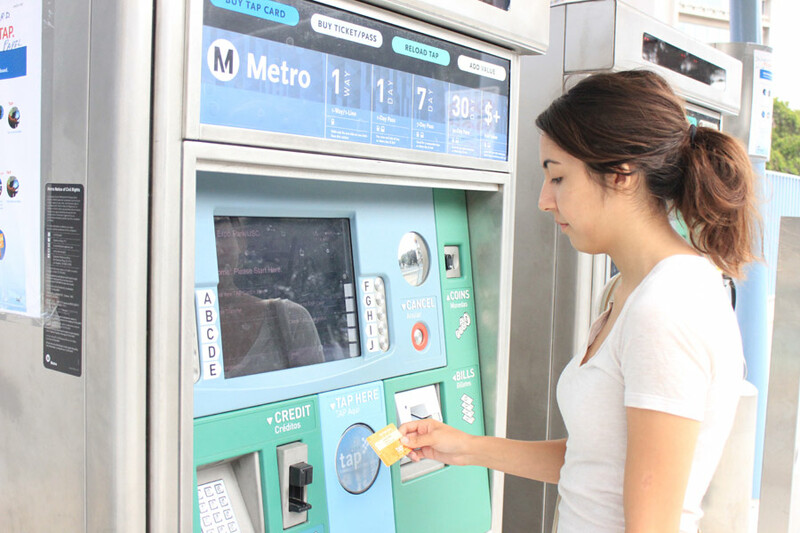 Starting next month, Metro stations will only accept TAP cards. I don’t like the idea of TAP card only. People should be given the option to take the Metro even if they are not a frequent user of the Metro system. I’m from the Bay, and our BART system has both the paper ticket option and the Clipper Card option. Visitors that use the system only a few times in the year will more likely appreciate a simple paper ticket and not have an extra card that lies dormant most of the year. Yes, encourage the TAP card, but please do not make it the only option. Turnstyles are definitely an improvement that is needed. When I first saw the system, I was amazed that you can simply walk onto the platform, with or without your ticket. As a Southern Californian, I agree with your comments. I presently use a paper Senior EZ Pass which will be issued for Seniors through October. I have an ORANGE Tap Card with my photo which expires early next year to be used for both TAP and the new sticker which I will be affixed when I buy my November Senior EZ Pass, etc. The sticker will be used for those non-tap systems, i.e., Torrance, Long Beach and Santa Monica, etc. Right now, in Culver City, I just show my EZ Pass and most drivers know me. Starting in November, I will have to TAP according to my many contacts with Culver CityBus (that is the way it is spelled). BTW, i am familiar with BARTD (FULL NAME) but haven’t been on it for some years. A long-time friend of mine served on its Board of Directors for a while. My previovs comment referred to Bob’s comments. In regards the Gregorio comments on Torrance and Long Beach, ALL agencies will be accepting TAP WITH A SPECIAL STICKER starting in Nouember. Minor corrections to my previous posting. I have an ORANGE Tap Card with my photo which expires early next year to be used for both TAP and the new sticker which will be affixed when I buy my November Senior EZ Pass, etc. The previous comment has nothing to do with TAP as far as I can tell. 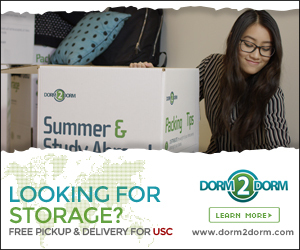 I am an EXPO rider but not a USC student. Why not have Long Beach Transit and the Torramce Tansit Buses also accept TAP Cards? They are the only ones that don’t I think. Thank you. Seems we are going in the wrong direction here. With hard financial times, we were supposed to be able to leverage the genorocity of our benefactors and expand our lead over the State schools and to cut into the lead of the Schools rated ahead of us. 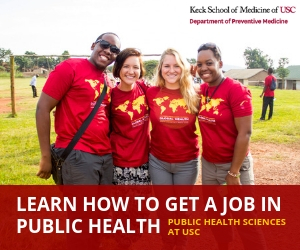 Not happening–something fundamental is wrong with Nikias’ approach. Maybe more time behind the desk and less time in the football locker room is a good start. The 24/7 huckerstering needs to stop and be replaced by substance. 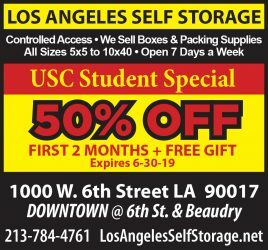 While the administration/beaurocracy has grown exponentially, along with the number of students admitted to USC (the student body is now at 38,000–up from 32,000 a few years ago) the class size has gotten much larger and the tuition has increased and the quality is not keeping up with our competitors. What’s going on, Mr. Nikias?